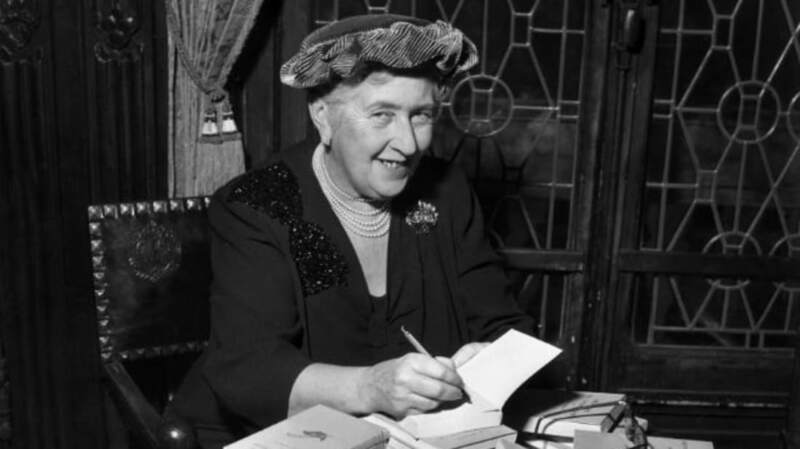 With over 2 billion copies of her books in print, British novelist Agatha Christie (1890-1976) has kept countless readers up into the early morning hours. Occasionally, the mystery surrounding her personal life—including a high-profile disappearance in the 1920s—has rivaled the best of her fiction. Let's take a look at some of the verifiable details of the famed crime writer’s life and times. 1. HER MOTHER DIDN’T WANT HER TO LEARN TO READ. Before becoming a bestselling novelist, Christie was in real danger of growing up an illiterate. 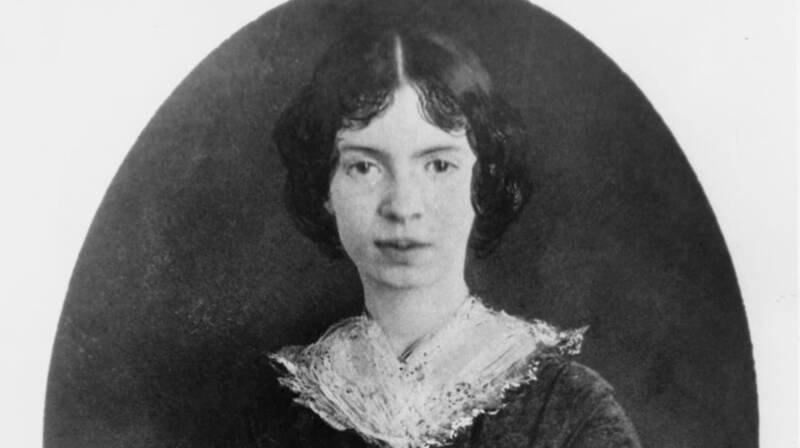 Her mother was said to be against her daughter learning how to read until age eight (Christie taught herself), insisting on home schooling her and refusing to let her pursue any formal education until the age of 15, when her family dispatched her to a Paris finishing school. 2. HER FIRST NOVEL WAS WRITTEN ON A DARE. After an adolescence spent reading books and writing stories, Christie’s sister, Madge, dared her sibling to attack a novel-length project. Christie accepted the challenge and penned The Mysterious Affair at Styles, a mystery featuring a soldier on sick leave who finds himself embroiled in a poisoning at a friend’s estate. The novel, which featured Hercule Poirot, was rejected by six publishers before being printed in 1920. 3. HERCULE POIROT WAS BASED ON A REAL PERSON. The dapper Poirot, a mustachioed detective who took a gentleman's approach to crime-solving, might be Christie’s best-known creation. Christie was said to have been inspired when she caught sight of a Belgian man deboarding a bus in the early 1910s. He was reportedly a bit odd-looking, with a curious facial hair style and a quizzical expression. His fictional counterpart's debut in The Mysterious Affair at Styles would be the first of more than 40 appearances. 4. SHE ONCE DISAPPEARED FOR 10 DAYS. In 1926, Christie—who was already garnering a large and loyal fan base—left her home in London without a trace. It could’ve been the beginning of one of her sordid stories, particularly since her husband, Archie, had recently disclosed he had fallen in love with another woman and wanted a divorce. A police manhunt ensued, although it was unnecessary: Christie had simply driven out of town to a spa, possibly to get her mind off her tumultuous home life. The author made no mention of it in her later autobiography; some speculated it was a publicity stunt, while others believed the family's claim that she had experienced some kind of amnesic event. 5. SHE WASN’T BIG ON VIOLENCE. While a murder is typically needed to set a murder mystery in motion, Christie’s preferred methodology for slaying her characters was poison: She had worked in a dispensary during war time and had an intimate knowledge of pharmaceuticals. Rarely did her protagonists carry a gun; her two most famous detectives, Miss Marple and Hercule Poirot, were virtual pacifists. 6. SHE HAD AN ALIAS. Not all of Christie’s work had a mortality rate. Beginning in 1930 and continuing through 1956, she wrote six romance novels under the pen name Mary Westmacott. The pseudonym was a construct of her middle name, Mary, with Westmacott being the surname of her relatives. The image of Christie as a matronly author of mystery is the one most easily recognized by readers, but there was a time when Christie could be found catching waves. Along with her husband, Archie, Christie went on a traveling spree in 1922, starting in South Africa and winding up in Honolulu. At each step, the couple got progressively more capable riding surfboards; some historians believe they may have even been the first British surfers to learn how to ride standing up. 8. SHE DIDN’T LIKE TAKING AN AUTHOR’S PHOTO. Although not explicitly camera-shy—Christie took frequent photos while traveling—she appeared to dislike having her photo appear on the dust jackets of her novels and once insisted they be issued without a likeness attached. It’s likely Christie preferred not to be recognized in public. 9. SHE TOOK AN OATH OF DETECTIVE WRITING. Founded in 1928 by writer Anthony Berkeley, the London Detection Club, or Famous Detection Club, was a social assembly of the notable crime writers in England. Members “swore” (tongue mostly in cheek) to never keep vital clues from their readers and to never use entirely fictional poisons as a plot crutch. Christie was a member in good standing, and took on the role of honorary president in 1956 on one condition: She never wanted to give any speeches. 10. SHE TRIED HER BEST TO TAKE UP SMOKING. While it would shortly gain a reputation for killing its devotees, smoking was once so revered that it seemed unusual not to take a puff. Shortly after the end of the first world war, Christie was quoted as saying she was disappointed she couldn’t seem to adopt the habit even though she had been trying. 11. SHE WROTE A PLAY THAT MAY NEVER STOP RUNNING. The curtain was first raised on Mousetrap in London’s West End in 1952. More than 60 years later, it’s still being performed regularly and passed the 25,000 show mark in 2012. The play—about a group of people trapped in a snowbound cabin with a murderer among them—was originally a radio story, Three Blind Mice, that was written at the behest of Queen Mary in 1947. After divorcing alleged cad Archie, Christie married archaeologist Max Mallowan in 1930 and joined him for regular expeditions to Syria and Iraq. In 2015, HarperCollins published Come, Tell Me How You Live, the author’s long-forgotten 1946 memoir of her experiences traveling. Although she assisted her husband on digs, she never stopped working on her writing: Their preferred method of transport was frequently the Orient Express, a fact that likely inspired her Murder on the Orient Express. 13. AT LEAST ONE “VICTIM” WAS INSPIRED BY A REAL-LIFE NUISANCE. When Mallowan married Christie, he was assistant to renowned archaeologist Sir Leonard Woolley. This fact upset Woolley’s wife, who refused to let Christie stay in a Mesopotamia digging camp; Mallowan was forced to take a train into Baghdad every night to see her. Christie soon wrote Murder in Mesopotamia: The victim was the wife of an archaeology field director who was bludgeoned with an antique mace. Christie dedicated the book to the Woolleys, who never joined Mallowan on an expedition again. 14. YOU CAN RENT HER OLD HOME. If you feel like inhabiting the same real estate as Christie is a bucket-list travel opportunity, her former home in Devonshire, England is available for rent. The centuries-old home was Christie’s summer getaway in the 1950s; portions of it are rented out to individuals or groups for $500 a night. Some furniture and a piano that once belonged to the author remain in residence. Like Arthur Conan Doyle before her, Christie eventually grew tired of her trademark character and set about having Hercule Poirot perish in the 1975 novel Curtain. The reaction to his demise was so fierce that The New York Times published a front-page “obituary” for the character on August 6. Christie died the following year.